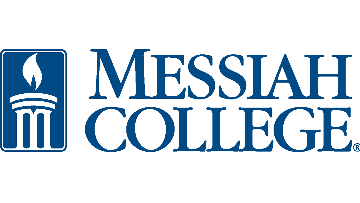 The School of Graduate Studies at Messiah College invites applications for Faculty to teach in the Doctor of Physical Therapy Program (term-tenure track). Rank will be based on qualifications. The faculty member will have expertise in research and in one of the following areas: cardiopulmonary, integumentary, musculoskeletal and/or neurologic rehabilitation. Qualifications: Related academic terminal degree (PhD, EdD, ScD) required. ABPTS board certification in area of expertise preferred. Previous college teaching experience preferred. Minimum of three (3) years clinical experience. Candidate should have a commitment to excellence in teaching. Maintains or eligible for Pennsylvania PT license. Responsibilities: Teach graduate courses in the candidate’s area of expertise in our Doctor of Physical Therapy Program. Teaching assignments will be determined based upon departmental need and the candidate’s expertise and interests. Faculty members are also expected to maintain an active scholarly agenda, advise graduate students, and engage in institutional service. The Program: Messiah College’s Doctor of Physical Therapy (DPT) is designed to prepare competent therapists for meaningful careers as practitioners, educators, administrators and consultants in a variety of professional settings including hospitals, clinics, rehabilitation centers, homecare programs, schools and private practices. Our program is a full-time, residential, 110-credit program. The College: Messiah College is a Christian college of the liberal and applied arts and sciences and has a student body of over 2,700 undergraduate students including 13.7% under-represented and 4.4% international students from 30 countries and over 600 graduate students including 15.3% of students from under-represented populations. Compensation: Salary and rank commensurate with qualifications and experience. Application materials will be reviewed upon receipt and will be accepted until the position is filled. Please provide a current curriculum vitae or resume as well as a letter of interest that clearly explains how your Christian faith represents a strong fit with the mission of Messiah College, which is “to educate men and women toward maturity of intellect, character and Christian faith in preparation for lives of service, leadership and reconciliation in church and society."